Please Note: We DO NOT refund shipping costs. Products are guaranteed by the manufacturer (911gear.ca items warranty is below) unless stated otherwise. Warranties differ and start from the date of purchase. Warranties protect against manufacturer defects they do not cover wear and tear. Wear and tear is defined as "the loss, damage, depreciation or stress to which something is subjected by or in the course of ordinary use". Normal wear and tear include damage to all snaps, velcro, and zippers. Footwear and clothing including hats, once worn are non-returnable for hygienic reasons. Most manufacturers warranties state that the items must be returned to them in order to make a warranty claim. We are not involved in the warranty process unless we 're contacted by them for a purchase receipt. The customer is responsible for the return to the manufacturer and any and all shipping expenses. All Manufacturers will not cover misuse or abuse of the item. The manufacturer decides what is abuse or misuse. Misuse or abuse can cover many things e.g dropping an item or using incorrect power sources. Overloading pouches or bags, Each manufacturer will decide if the warranty claim is valid and if it warrants replacement or fixing of the item. In some cases, you may need to ship the item back to the manufacturer for warranty service. For most warranties to be valid you must return any warranty cards to the manufacturer that are included in the item packaging. If unsure of the manufacturer's page and their warranty terms will be there. To make a warranty claim please contact us by phone ASAP. We will give you further information on how to make a claim either with us or the manufacturer. 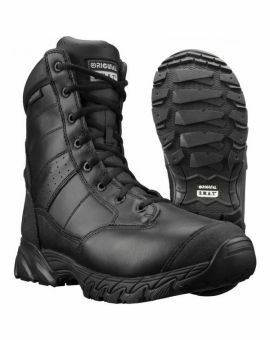 911gear.ca Warranties: We will repair, replace or refund the purchase price excluding any original or return shipping charges at our option. 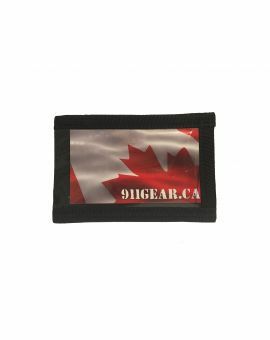 911gear.ca products that do not work or are not usable as a result of a manufacturing defect for a period of 6 months. This warranty does not cover exterior pockets, seams, zippers or velcro. This limited warranty excludes abuse, improper use, accidents, weather-related incidents and normal wear and tear. The item will need to be returned to us and the manufacturer for an assessment against the warranty. All shipping charges to us and the return of the item to you are the responsibility of the purchaser. Please weigh shipping costs against the option of having the item repaired locally. If an item can be fixed locally for $10.00 but shipping to us and back is $15.00. The better option is to have it fixed locally. If the item is under warranty and can be fixed locally we will reimburse you the cost of the repairs in the form of a credit against a future purchase. Please email pictures to us prior to returning the item. ****Please note: Worn clothing including but not limited to hats, gloves, and boots once worn cannot be returned. Altered clothing, personalized items, items altered or embroidered specifically to you or your company or any orders or items that fit in this category cannot be canceled or returned. All items in this category will be paid before any alterations or personalization is done. The altering of items in anyway voids all warranties. Personalized orders or items that have been altered or personalized after purchase cannot be canceled or returned. Orders can be canceled by calling us immediately. Canceled orders are classified in two ways. orders shipped can be canceled within 7 days of receiving the order. Return shipping costs are the responsibility of the customer unless we made an error on shipping. 1) NOT Shipped and Cancelled: Orders in which the payments have been processed but not shipped will be subject to a 20% charge with a minimum $10.00. These charges cover the costs of processing fees, preparing and canceling the order. 2) Shipped and Cancelled or Returned: Orders that have been shipped will be subject to a 20% charge with a minimum charge of $10.00. Shipping charges paid by the customer to receive the original order will not be refunded. Any return shipping costs or any other costs incurred due to canceled orders will be the responsibility of the customer. 3) Orders in which an error was made: Please start the return procedure by signing into your account as above and contact us either by phone or by email immediately. DO NOT SHIP back to us until you have spoken us. If you ship back before speaking to us we will not accept the parcel at the Post Office. DO NOT return items Express Post or Priority Courier we WILL NOT accept any parcels sent by either of these services. Expedited only. Items must be returned in new condition with original packaging within 30 days. After 30 days we will not accept returns. Items returned that have been worn, damaged, without original packaging or damaged packaging will not be accepted and no refunds will be issued. Shipping is paid for by the customer unless an error was made on our end in shipping Please try on your items as soon as you receive them. We will not accept sizing changes after 7 days from the date of delivery of your order. Alterations made to clothing such as items sewn on or items removed void the warranty on the items. Please try items on prior to sewing or removing parts of the clothing. Please ensure when returning items to us you use the procedure listed above to do so. Any items sent back without an RMA number will be refused and will result in further charges incurred by the customer returning. The item(s) must be returned within 7 days of receiving them. Please ensure any packages returned to us are returned by Canada Post EXPEDITED only. Make sure they have sufficient postage and are insured the for the total cost of the invoice. In the event the package you return is lost during the return shipping process the cost of the package will be covered by the insurance you put on the package. Customer is responsible for the package until it is received and signed for by us. Insuring the package is inexpensive protects you the customer against loss as you are responsible until it is back in our hands. Please ensure when shipping the package back you ask the Canada Post person about insurance on your package. 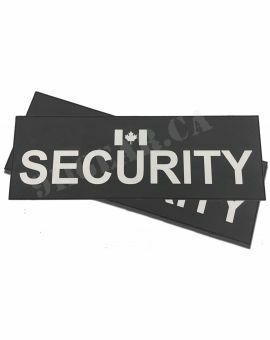 Parcels returned due to addresses being incorrect will be charged return shipping fees as Canada Post will return parcels incorrectly addressed to us and charge us the shipping costs associated with the return. Please check all order info after you have made the order to ensure the proper address has been given. The most common error in addresses is not giving apartment numbers, second is an incorrect spelling of streets and third is incorrect postal codes. We are NOT responsible for shipping of parcels to incorrect addresses. Refunds can take up to 5 business days to complete or longer if we are awaiting a returned item. So please be patient. We do not issue refunds until returned products have been received back by us and verified to have original packaging and be in resellable condition. Refunds are returned by paid (Visa, paypal etc). Future credits or exchanges for other items are available. Items returned must be returned with original packages and tags not removed from clothing and in a condition that it was sent to you in. Items cannot be worn, used or have any wear or tear on them. If the items have been worn, used or not sent back without original packaging it will be returned to the customer and no refund will be given. Before contacting Payapl or your credit card to initiate a chargeback please contact us. We charge a $30.00 administrative fee plus any applicable fees charged by the company involved for chargebacks ruled in our favor. 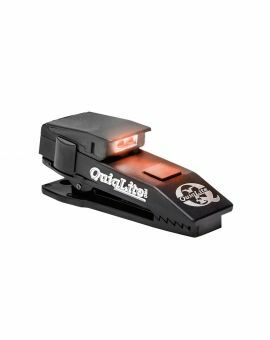 If we are out of stock on an item we will offer you an alternative. If you do not want the alternative and do not wish to wait we will issue a refund with no restocking fee’s. Incorrect sizing is one of the most common reasons for return. Please be sure of the size of an item before you order. Our gloves all have sizing charts on the page you order from. Please pay close attention to measurements and sizing. If your measurements are the same length as the end of one size measurement and beginning of the next measurement size then order the larger size. Be sure items fit when you receive them. We only accept sizing changes up to 7 days after delivery to you. If you order an item in a size, configuration or color the item isn't available in or in the event of a clearance item that is not marked as being available you will be subject to a restocking fee. Our items are clearly marked on our site if availibility or quantity is limited. Occasionally we will have advertised a size or a color that we believe at the time is available but when we order from the manufacturer or check stock and it is not available. In this case, we will offer you an alternative if you do not wish the alternative we will issue a refund with no charges.